Telling a songwriter you don’t really know what he’s on about is perhaps not the most politic way of beginning an interview, and as a part-time music journalist himself, Woodpigeon’s Mark Hamilton agrees. “It’s like, ”˜Hi! I don’t get you!’ ” he says, on the line from his Calgary home. But he’s laughing, and he quickly admits that a certain amount of obfuscation is part of his game plan on the Alberta-based band’s latest release, Treasury Library Canada c/w Houndstooth Europa. Yes, he does keep a daily journal, and his songs are mostly autobiographical. But his diary entries are for his eyes only; when he turns them into song, he’ll usually switch some things around. That’s a strategy he employs several times on the Treasury Library Canada portion of the Woodpigeon double disc. 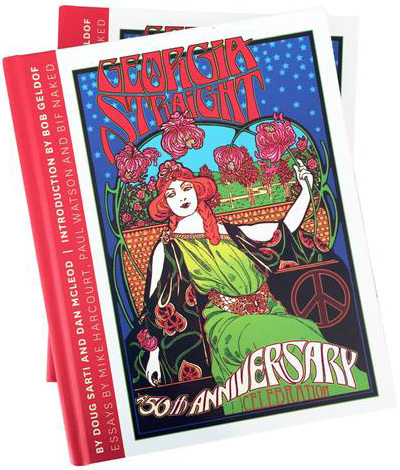 Originally a limited-edition release meant to be sold from the stage, it features songs called “A Moment’s Peace for Mary Christa O’Keefe”, “Anna, Girl in the Clocktower”, and “Emma et Hampus”, all named for real-life acquaintances and all based on real-life occurrences—slightly modified, of course. In contrast, the songs on Houndstooth Europa are more travelogue than fiction, and they were written, quite literally, on the road. Although the two discs vary wildly in sound—Treasury is lushly orchestrated dream-pop, while Houndstooth is essentially an acoustic home recording—a sense of immediacy is one aesthetic constant. The 24 tunes collected on Treasury Library Canada c/w Houndstooth Europa suggest that his success rate is a little higher than that—even if it isn’t always easy to figure them out. Woodpigeon plays Little Mountain Studios on Friday (February 6) and a Club PuSh showcase at Performance Works on Saturday (February 7).